Ever heard of eye mites? Millions of people have them but most don't even know it. 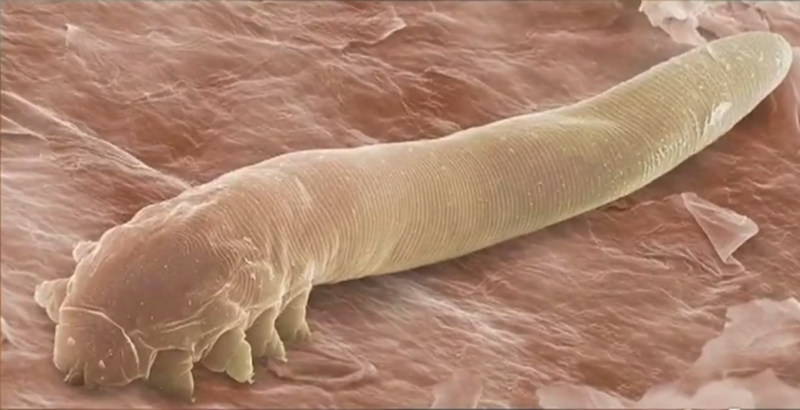 CBS Miami reporter Ted Scouten began looking into the problem after he was diagnosed with eye mites -- known medically as Demodex Mites -- along the base and lid of his eyelashes. He wanted to share his story to help others avoid his fate. "I had never heard of eye mites so when he said eye mites it was just really gross, so yeah, I freaked out a little bit," Scouten said. "But then [the doctor] explained that there are a lot of people who have these, and a lot of people who own pets get them." So what are eye mites? They're microscopic parasites, spread by pets and people, and spend most of their time buried in hair follicles. They thrive on the natural oils produced by the body -- they especially love faces -- where they crawl, eat and reproduce. Norman Herskovich, an optometrist at Elite Family Eye Care, in Fort Lauderdale, said the mites are most active while people sleep. "They try to avoid light, so what ends up happening, as awkward as this sounds, when we go to bed at night they come out and they mate, and they will actually reproduce. They have a two- to three-week cycle and will eventually die, but their offspring will continue the process," said Herskovich. The mites don't necessarily cause any problems, but having too many can cause irritation or inflammation of the eye area. Scouten was diagnosed with eye mites two months ago. He followed up by cleaning his eyelids twice a day using tea tree oil wipes. The next step in his treatment involved having his eyelids cleaned in his eye doctor's office. Herskovich explained, "The actual procedure allows me to exfoliate debris that would otherwise obstruct the meibomian glands, which produce a component of our tears known as the lipid layer, or oily layer. The oily layer is critical to keeping our tears from prematurely evaporating." "These little mites, Demodex, are found everywhere," Herskovich said. "They are without question on floors. So we will step on these mites -- transfer them from one location to another. And as far as pet owners, as I have seen in my experience, pet owners tend to have more Demodex in their eyes than non-pet owners although it's totally possible to not have contact with pets and still get these." Scouten says he is now much more careful with his pets, no longer letting his cat sleep near his face. "It's not a matter of getting rid of your pets; it's just a matter of being more aware, I think, of washing your hands." According to Herskovich, it's critical to get your eyes checked regularly, to be sure the glands that produce oil, located in the upper and lower lids, are healthy. Good eyelid hygiene helps too: don't touch your eyes with dirty hands.